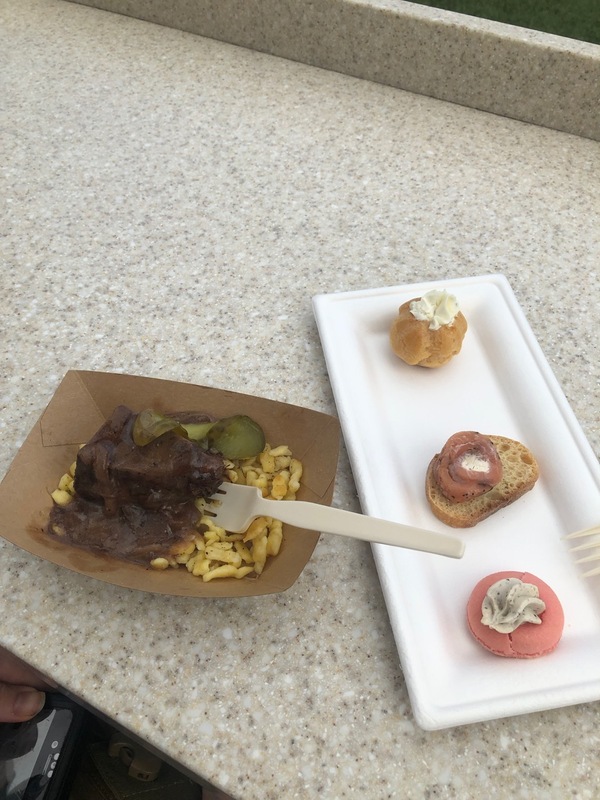 We actually planned to go to the Epcot International Food & Wine Festival last year, but had to cancel our trip due to a hurricane. This year we didn't plan to go and ended up catching the last day of it as it seems like it ran much longer this year than normal. We started at The Cheese Studio with Braised Beef 'Stroganoff' for Mik and Cheese Trio for me. The stroganoff ended up being Mik's favorite. 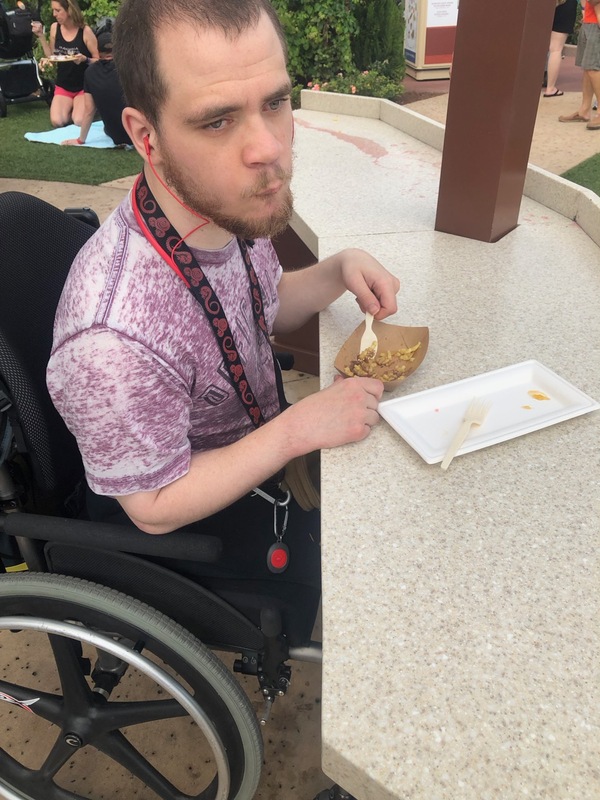 Mik also really like the seating area by The Cheese Studio as he could actually use it, unlike the high tables they mainly have available around the festival. 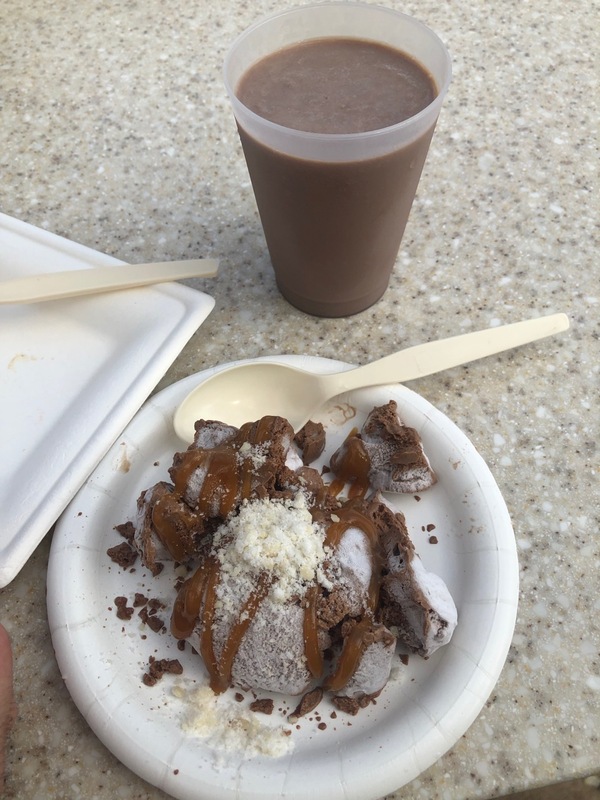 Next Mik had the Liquid Nitro Chocolate-Almond Truffle and I had the Twining's Pumpkin Spice Chai Tea and Chocolate Shake from The Art of Pairing. 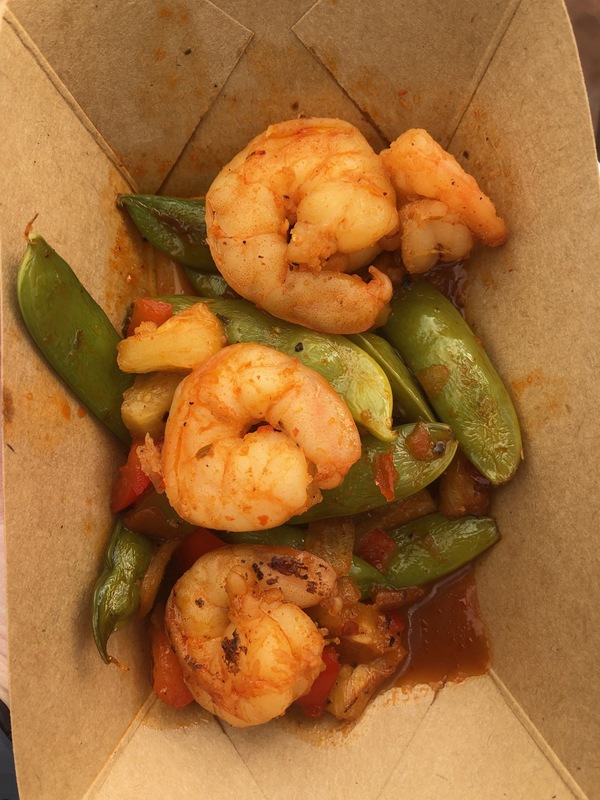 At the Austrlia booth, we shared the Grilled Sweet and Spicy Bush Berry Shrimp, which was my favorite of what we tried. 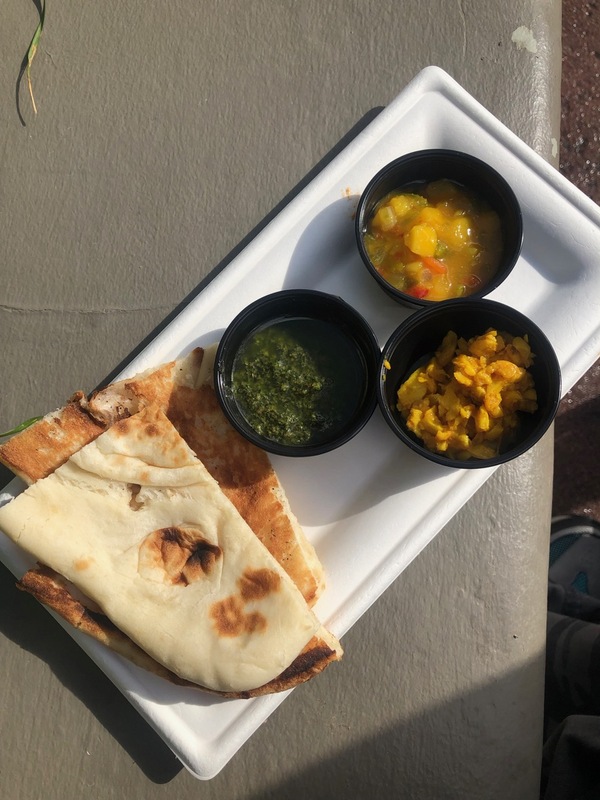 Finally, we tried the Warm Indian Bread with three dipping sauces. Mik mainly liked it for the bread, but did also like the coriander pesto dip. 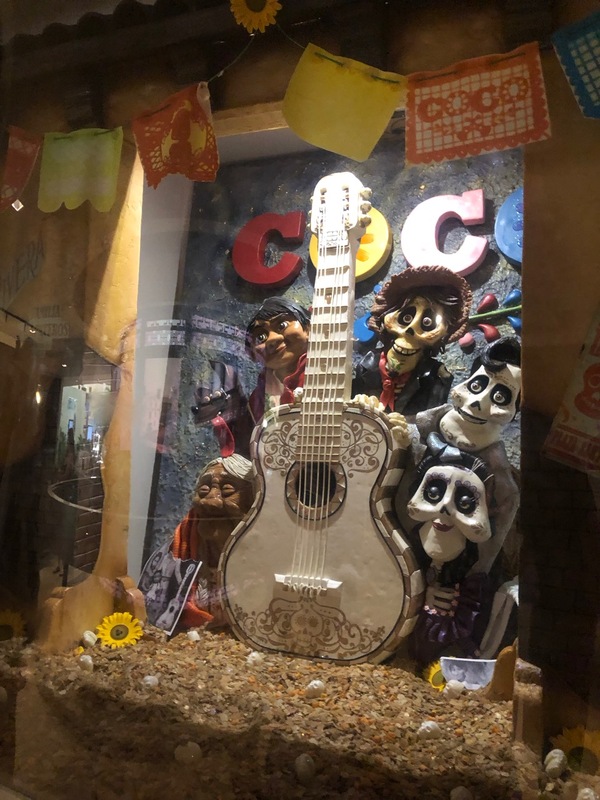 Before leaving we made sure to stop at the Festival Center to get our passholder magnet and check out the chocolate sculptures (and get our free Ghiradelli square because not like we didn't still have leftovers from the Disney Cruise last month...). Overall glad we at least got to experience the festival a little this year. 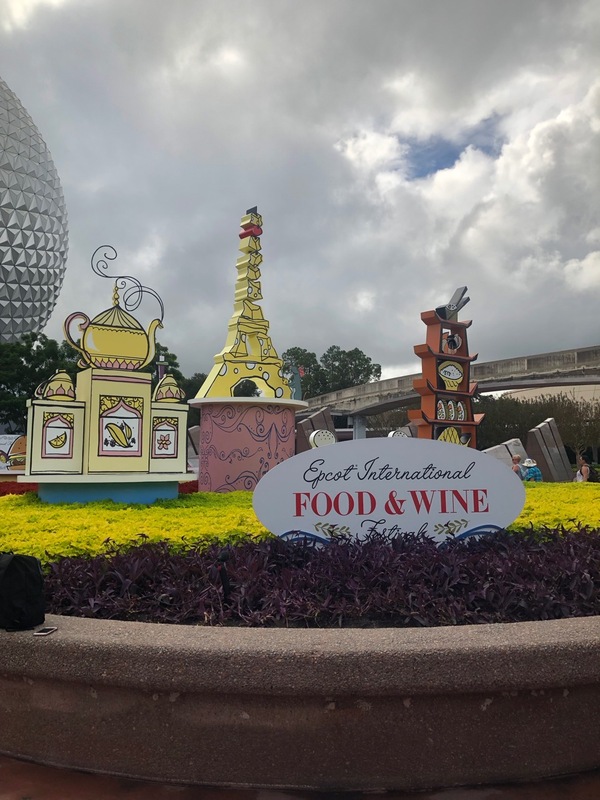 Really wish we could've come four days during it, though, and got the passholder cutting board!